While CMOS density scaling is projected to continue for another decade, transistor supply voltage levels have stayed constant, signaling the end of Dennard’s scaling and potentially pushing design towards “dark silicon”. The Vertically-Integrated Server Architecture (VISA) project targets design for dark silicon where an integrated hardware/software approach to specialization implements performance- and energy-hungry services with minimal energy. The impending plateau of voltage levels with a continued increase in chip density (according to Moore’s law) is causing energy to be the number one concern in the design of future digital computing platforms. 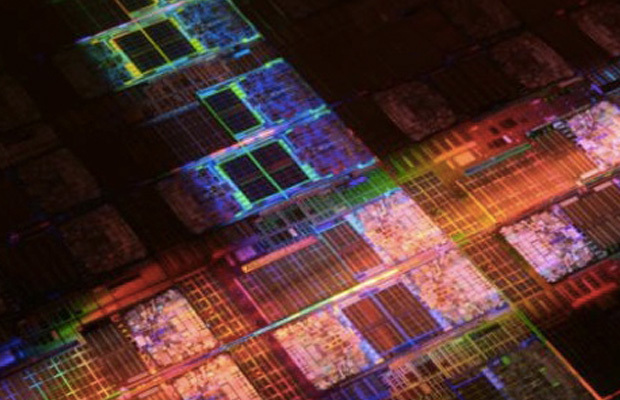 These platforms are likely to be built on “dark silicon”, where a limited power budget allows only for a fraction of a chip’s real-estate to be active at a time, allowing for the rest of the chip to be turned off or “dark”. The Vertically-Integrated Server Architecture (VISA) project targets design for dark silicon where an integrated hardware/software approach to specialization implements performanceand energy-hungry services with minimal energy. Specialization allows future technologies to utilize dark silicon effectively and maintain a constant power envelope by keeping only the needed services active on-chip, monitoring and shutting off unneeded resources. Specialization maximizes transistor efficiency and makes better use of available real-estate, achieving two or more orders of magnitude reduction in energy through a hand-in-hand collaboration of software and hardware.